Mosquito season is upon us and we are offering Spring-Woodlands customers special pricing on our popular Mosquito Barrier Spraying and Treatment Service. 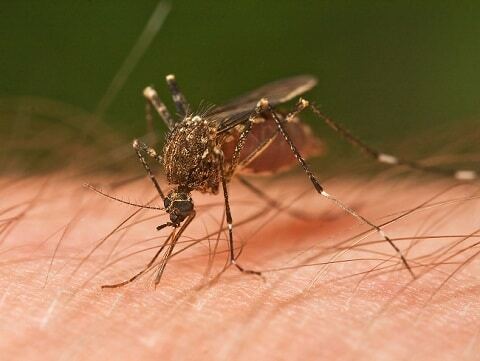 Nothing spoils the backyard pool time and enjoying your outdoor living space faster than a swarm of mosquitoes, not to mention the health risk of mosquito-borne illnesses like West Nile virus. Click Here to learn more about Allied Exterminators’ other services. For homeowners in North Houston who haven’t found much protection from citronella candles, experts weigh in on the pros and cons of calling in the professionals to spray for mosquitoes. Get your yard back. Call 281-353-4427. Allied Exterminator’s staff is on hand to visit your property on a monthly basis and spray a fine mist on all outdoor vegetation and surfaces. This treatment is effective immediately and will exterminate your mosquito problem. Our goal is to maintain mosquito control for customers in Spring, The Woodlands and the North Houston area throughout the season; however we gladly welcome special event treatments as well. The treatment is invisible and odorless. The only way you will ever know we were there is the absence of the mosquitoes! How can we help you during the prime mosquito-infested periods? We offer a Seasonal Package Sprays which include multiple spray treatments to help ensure your yard stays free of mosquitoes during the summer months. Call our office 281-353-4427 to learn more about our prices per spray cost ranging from 1/4 acre or less, 1/4 acre to 1/2 acre and 1/2 to 1 acre lot sizes. We offer special pricing on one time sprays to assist our customers and to help ensure their guest and family events are uninterrupted by those uninvited flying and biting insects. Hurry up and call 281-353-4427 if you are planning any laid-back, warm-weather entertaining outdoor events such as: weddings, lawn games, parties, gatherings, or even graduations. Our pest control company uses an EPA registered pesticide, which is mixed with water and sprayed on to your trees, bushes and and other mosquito infested harbors. The pesticide used by our exterminators is a synthetic version of an extract of the African Daisy. The product has been labeled, “caution” by the EPA, the EPA’s lowest label warning. In fact, DEET Bug Repellent which is a popular insect repellent that most bug spay products contain, have a higher warning label than our product. It’s safe for kids, safe for pets, and is environmentally friendly! Our Barrier Spray Treatment is applied by our trained professionals using a backpack sprayer. The treatment takes approximately 20-30 minutes and is necessary only once every 21 days. The spray is odorless, transparent, and dries within 30 min. Best of all, there is no need for you to be home, we deliver your treatment and leave a door hanger or note informing you that your home is protected, as well as the next scheduled date of service. *Actual treatment description shall be presented by your licensed exterminator at the time of service.